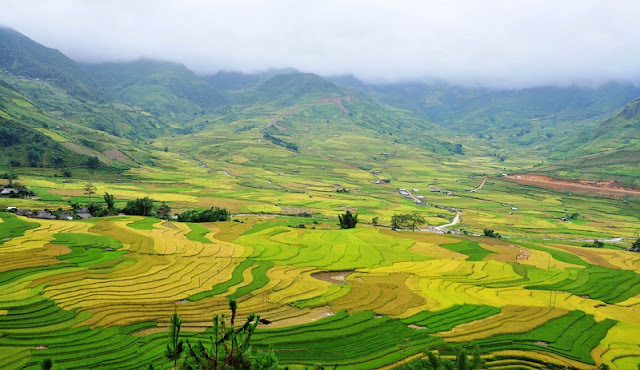 Home > Travel guide > 2 days in Sapa you experience what? Step by step conquer the landscape of Sapa, the green hills, step through the rice terraces, can make the tired feel the feeling of victory will fill the tired. During our 2 days in Sapa mountains join the trekking, passed by the ancient rice terraces, discovered tiny villages, learning about minority tribes and their way of living. A dream trip that became true! 2-day journey starts with the same tribal trek of the Black Hmong in Cat Cat village. Cat Cat village is right at the Fansipan mountain base with stunning and remarkable scenery. Cat Cat is a Hmong village that is only 2km away from the center. This is the most attractive tourist spot in Sapa all year around. Walking down the valley, there are small shops selling traditional jewelry, brocades and other Cat Cat’s food specialties for travelers on both sides of the road. In the top spots in Sapa, besides Cat Cat, Lao Chai, Ta Van or Y linh Ho is also one of the best places to come for you. 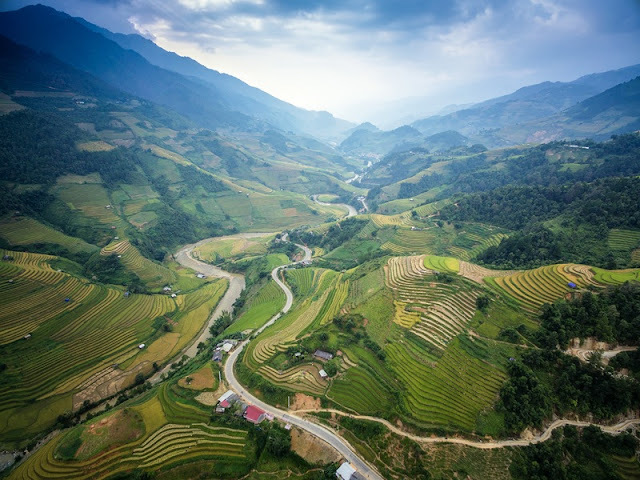 If trekking to Sapa sounds to be popped up in your mind after you contemplate the stunning pictures of towering mountaintops, cascading rice paddies, and wonderfully green plains, then let’s make it come true right now! The villages stands out as the next trekking spot for those who love peace and serenity as well as wishing to gain first-hand experiences of interacting with hill tribes, particularly the Black H’mong who majorly inhabit the area. The only way to reach the village is to go on foot, which means you have a chance to contemplate the charm of eye-catching valleys lying between mountains. Of course, the fresh and cool air does make the hiking route worth your time and effort. The local ethnic people here usually cultivate corn and rice on the steep hillsides as a way of earning their living. It is easy to notice them through their dark clothes in black and navy dyed with indigo. Don’t hesitate to visit an H’mong family and admire their wooden- and bamboo-styled house. Then, learn their daily activities and enjoy a meal with them. They are very friendly and sociable.